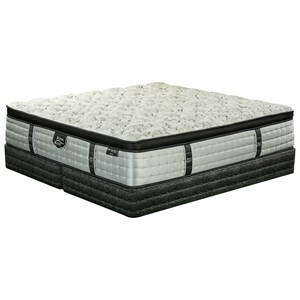 The Vienna Euro Top King Euro Top Mattress and Wood Foundation by King Koil at Nassau Furniture and Mattress in the Long Island, Hempstead, Queens, Brooklyn, Bronx, Manhattan NY area. Product availability may vary. Contact us for the most current availability on this product. 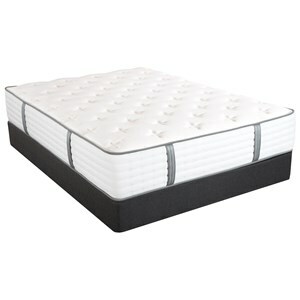 World Luxury Intimate mattresses by King Koil are built to provide lasting comfort and many nights of healthy sleep. This line is designed to be durable and supportive for anybody - from big and tall down to the most petite individual. Featuring the Perfect Contour® Reaction coil system, World Luxury Intimate mattresses will help keep your body in alignment, so you wake up feeling refreshed. Designed and built in the USA. The Vienna Euro Top collection is a great option if you are looking for Mattresses in the Long Island, Hempstead, Queens, Brooklyn, Bronx, Manhattan NY area. 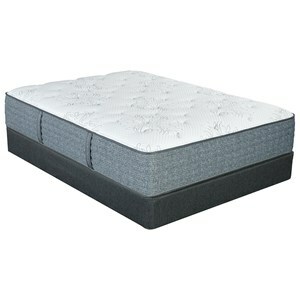 Browse other items in the Vienna Euro Top collection from Nassau Furniture and Mattress in the Long Island, Hempstead, Queens, Brooklyn, Bronx, Manhattan NY area.